In Mississippi, manufacturing is considered a cornerstone industry. According to Jay Moon, president of the Mississippi Manufacturers Association, it is estimated that 12% of jobs in Mississippi are in manufacturing, and as many as 33% of Mississippi jobs are directly or indirectly related to manufacturing. It is an industry that has always been successful and important to the state and the state economy. This is a perspective embraced by our governor, who states very matter-of-factly, “Manufacturing drives the economy. It always has and it always will.” That recognition influences political and private direction. And, when a state has a governor who is dedicated to business development, and manufacturing in particular, the level of support can be impactful. 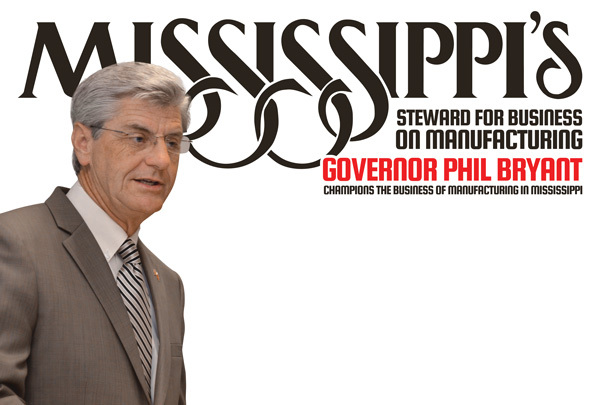 Governor Bryant is ever-ready with many facts that demonstrate the strength of the manufacturing industry in Mississippi. in fact, with an industry this strong, it is not difficult to come up with a very long list. Here are a few of those facts. The Mississippi plant was established just over 10 years ago and now manufactures over 340,000 vehicles per year. Mississippi is the only state in the U.S. to manufacture the Murano. Nissan employs 7,000 Mississippians to manufacture their products here in the state. The Ingalls Shipbuilding Mississippi manufacturing facility is home to some of the most advanced naval shipbuilding in the world, including DDG 51 destroyers and National Security Cutters for the U.S. Navy, Marine Corps, and Coast Guard. In February 2015, the new Toyota plant in Blue Springs, Mississippi, manufactured their 500,000th Corolla. The new plant produced 180,000 Corollas in 2014 and met their half-million benchmark faster than any Toyota plant in the U.S.
Columbus, Mississippi, is home to the Airbus Helicopters manufacturing facility. Airbus Helicopters manufactures a dozen helicopter models and supplies both commercial clients and the U.S. Army. They also manufacture the AS350 B3, known as the helicopter that conquered Mount Everest. Stark Aerospace is the manufacturer of cutting edge unmanned aerial systems (UAS) and unmanned aerial vehicles (UAV) used for national defense. They feature a 100,000-square-foot, state-of-the-art manufacturing facility in Columbus, Mississippi. 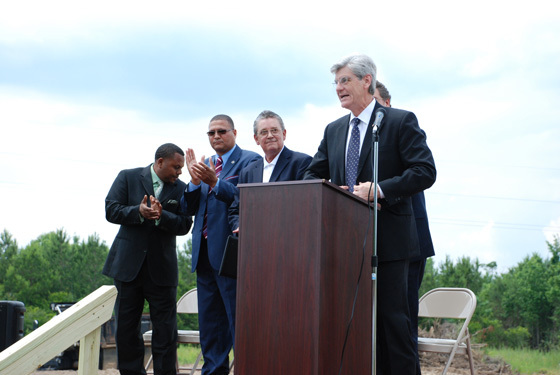 The new West Point, Mississippi Yokohama plant is scheduled to be complete and begin production in October 2015, and plans to hire 500 employees. This plant will be the first greenfield site in North America for the company. Yokohama chose Mississippi for its new facility after a review process that included 28 states and close to 3000 locations. In a state where manufacturing is central to the economic portfolio, it only makes sense that there are structured, strategic initiatives designed to maintain a world-class environment. One critical element for the success of any manufacturing company, new or existing, is workforce. To that end, Mississippi has several initiatives in place to ensure an able workforce today, and in the future. Using unemployment reserves to invest $24-26 million per year in workforce training. Those essential areas help guide research direction, partnerships, and educational initiatives to ensure the stability of the industry across the state. In Mississippi, we have a governor who supports our healthy and growing manufacturing industry, and is personally vested in the well-being of the industry for the benefit of the state. That is a partnership worth paying attention to and investing in for the betterment of the state, the citizens, and the entire industry of manufacturing in Mississippi.